including the launch of Navigate Auto, a marketing platform designed to target car buyers, as part of a joint venture with News Corp, as well as a new 24/7 multichannel, 7Food, and the launch of digital news site 7News.com.au. To gauge the industry reaction to Seven's announcements, AdNews approached Australia's media bosses and adland execs to find out how the second upfronts event of the year compared to Nine's and what they thought of the new programming, digital and partnership strategies. Commenting on the tie-up with News Corp, The Trade Desk general manager ANZ, Mitch Waters said it’s exciting to see the collaboration of two Australian media giants as it will create a strong offering for brands outside of the existing duopoly. “Tim Worner himself says there will be more tie-ups to come with Seven West Media’s ‘frenemies’ and this sharing of data is excellent and for the greater good,” Waters said. While media execs praised the work being done by Seven to give agencies opportunities to narrow in on niche and fragmented consumer categories, opinions varied regarding the event overall, with the majority of the conversation coming back to the 7Plus platform and the network's plans for cricket. Seven's digital duo of Clive Dickens and James Bayes told AdNews that the network had no plans to remove its optional sign-up policy when it came to accessing content on 7Plus. The two both argued that the data generated from those who were actually willing to hand over more personal information when logging in for the full service would be more accurate and valuable than those just giving "any old Hotmail". GroupM chief investment officer Nicola Lewis says the decision is not without risk in the modern media landscape, with more and more focus being placed on addressable advertising. Lewis added that Seven's non-mandatory strategy was also something that was not just bucking a trend locally, but globally, with most platforms now taking a mandatory login stance when it comes to accessing content digitally. "Seven talked about using data to improve the customer experience and emphasised the importance of quality, not quantity when it comes to logged in user information," she says. "The conversation around the value exchange for login data, and Seven’s strategy around optional sign-ins is interesting, however, login data is proven to be an extremely rich commodity for advertisers. However, the narrative around being a modern media company aligned with content and data is still heartening." Waters said he was a big fan of Seven’s repeated call-out on trust and privacy, specifically concerning users’ logged-in data. 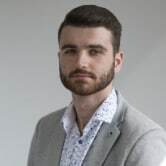 He said Seven has clearly been watching developments abroad, such as GDPR, and wants to provide confidence to users and advertisers on compliance. 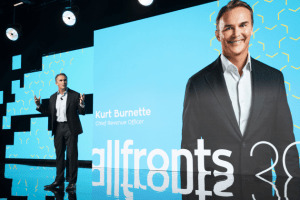 Overall Waters, whose company focuses on BVOD and connected TV( CTV), said he loved the emphasis on multiplatform and the notion of ‘Allfronts’ from Seven – adding it's great to see one of the country’s key media companies placing such a heavy focus on these areas. “Addressability and transparency are everything right now and it’s great to see Seven focusing on these initiatives,” Waters said. PHD chief investment officer Lucy Formosa-Morgan says the move is similar to the strategy Google has taken towards acquiring personal information and can be done effectively. In the case of Google, she says many still end up sharing personal information and Seven's "resolute decision" could create the same effect but may also cause problems in the medium to long-term. "Will Seven’s approach have a negative impact on their numbers? Yes, probably in the short-term, however I do think it’s a good move in the medium to long-term. "Seven has a strong brand image and this approach should give consumers greater respect and trust about how the company treats them and their personal data." IPG Mediabrands' Magna MD Victor Corones says that while being respectful of users and their data is important to any media business, Seven also cannot afford to fall behind when it comes to declared users. "Seven will need to accelerate the number of declared “active” users as this is the backbone to their broader data and addressability plans," he says. "Without it, they will struggle to." Starcom CEO Toby Barbour says he is unimpressed with the approach, as he believes the strategy could have a negative impact on how the 7Plus platform keeps up with the competition. "Seven has the number one BVOD platform with 7Plus, but I'm less convinced of its addressability solution and data story, with 3.7 million unique user IDs (UID), it will be interesting to watch in 2019 with the seven million UIDs at 9Now," he says. Waters said some of the new programs seemed “provocative in the sizzle reels” – perhaps a sign of the times as to what is needed to draw eyeballs and attention. Waters adds that the exclusivity on Seven’s sports offering was very interesting and he expects the Tokyo Olympics in 2020 to be “massive for viewership,” particularly given the time difference won’t impact viewership as heavily as the past few Olympic games. “Between Live TV, BVOD and the fantastic sports line-up they have, we’re really keen to work with the industry to get a better understanding of viewership habits and patterns, audience splits and the incremental reach we’re able to achieve through internet-delivered TV content,” Waters said. Wavemaker investment and activation director Sarah Starkey says the move is a wise reaction to the recent controversy regarding data privacy but added that this could have an impact on its addressability strategy. "There is a definite advantage for anonymity for users, and people are more closely protecting what data they give to media, especially in light of the fairly recent Facebook data leak. "It will obviously limit addressable advertising for 7Plus, but they will be betting on this feature bringing more people to their platform to offset the impact." According to Formosa-Morgan, Seven needs to focus in on its cricket strategy in 2019, with the sport providing the biggest opportunities in its programming slate over the next 12 months. She says there are some gaps within the remaining content line-up that could cause issues with advertisers after key sports such as cricket and AFL wrap. "In my view, sport is the crux of Seven’s programming for next year, supported by drama and reality shows. Seven is definitely looking to increase its drama line-up which is not a bad thing at all. "However, this year was perhaps too reliant on reality, specials and dating shows (in between a lot of sport again thanks to the Winters and Commonwealth Games). "In terms of interest to clients, there are very minimal integration opportunities within dramas so it’s more about whether or not they’ll attract the viewers. In a market that’s been steadily declining, strong and fresh content is critical so Seven bringing out new shows is great." Lewis also pointed to cricket and the rest of Seven's sporting content as a foundation to which the network can build a strong drama slate around. She says the focus needs to remain on what the network can do with cricket from all aspects, especially the women's game, adding that it was positive to see further investment in Australian drama but audiences will need to be strong if it is to land for clients. "It’s only ever a good thing to have new and interesting content alongside established programming, and cricket and sport are obviously strongholds for Seven and where much of their attention is," Lewis says. "It’s good to see such a strong showing around sport, particularly women’s sport, and encouraging to see such a focus on that, not only from the network but in terms of audience uptake, which is what advertisers are interested in. And although it’s a long way off, Tokyo Olympics promises to be a significant proposition for advertisers." Barbour says Seven will once again rely on sport as the spine to combine with news, MKR and Home & Away as the base foundation for audience stability, however, he added that he was unimpressed by the cricket offering. "I was underwhelmed - no new technology or benefits for the viewing experience. However, the brand sponsorship board is impressive, with a balanced commentary team and good community integration," he says. "The women's sport promotion with T20 Internationals is great, but I expected more on the product itself." Barbour adds that while the network's decision to launch a dedicated food channel was an interesting one, Seven would have to be prepared to grow the audience which he says will take time. Hyland Media founder Virginia Hyland also believes that sport will play a major role in the success of Seven's 2019 content lineup but added that there will need to be a fair "counter balance" to ensure a well rounded audience. "It is a strong combination provided the new programs perform. This will ensure Seven deliver strong audience numbers both offline and online, across genres." Corones says the decision has "potential" due to the passion that often comes with those interested in the food category, but he has some reservations. "It will definitely drive further audience fragmentation but I can see this as SWM attempting to expand their overall media eco-system and maximise overall audiences," Corones says. "However, the multichannels have been under a lot of pressure to perform. TV networks keep the majority of their marketing efforts focused on their respective primary channels and as a consequence this has seen multichannels struggle at times to hold audiences across the year." Formosa-Morgan believes that the channel will find better success under the Seven brand than it did on SBS, based on the network's broader audience and a larger library of local food programs. "Seven has got a larger footprint and audience base from which to cross-promote 7Food so I do think it’ll attract larger audiences than what SBS have been getting for the Food Network. "No doubt Seven will be running past episodes and series of their own food shows too and also creating additional local content and advertising opportunities for advertisers. It will also drive continued audience fragmentation, particularly across the older multi-channels." With 7News.com.au being confident in its claim to become number one in six months, this may not necessarily draw a big appeal for all advertisers. “Some brands consider news a no-go category as brand safety and affinity issues are more challenging to manage,” Waters explains. Hyland says that the news site is an important addition to the Seven advertiser offering, adding that it will play a complimentary role to its strong TV news presence, giving clients a broader and more integrated offering. "Appealing to audiences who may no longer arrive home by 6pm and can still be targeted online is a clear opportunity for advertisers,"
"News consistently performs well for advertisers because of the attention and appointment viewing focus that audiences give to News. It could certainly enhance their ability to appeal to a broader audience and attract more advertising dollars." Media and marketing consultant Pat Crowley said the showcase was a “nicely humble, yet confident presentation”. Crowley said Seven has worked out a good consistent formula of reliable ratings alongside some strong new Aussie drama and some “pretty wild looking reality”. “That recipe should help minimise any audience declines that are affecting TV networks year after year,” he said. Crowley sees the News Corp partnership, Navigate, as yet another strong public signal of the strategic intent between Seven and News, which he said is only a good thing for marketers and agencies as auto is the largest ad category in the country. “It’s also a great testing ground for how well the two companies can work together on commercial partnerships (a smart try before you buy test? ),” he said. “Finally, its quite clear to me that the 7Food network announcement would be the perfect partner for News 'Food Corp' division (Taste.com.au, Delicious, etc), and is surely one of the considerations around the focus on food by Seven." Cricket, data and addressable advertising have all come to the forefront of industry conversation following Seven's upfronts news. Seven's 'Allfronts' on Friday brought with it a slew of announcements including the launch of Navigate Auto, a marketing platform designed to target car buyers, as part of a joint venture with News Corp, as well as a new 24/7 multichannel, 7Food, and the launch of digital news site 7News.com.au.